A Boyle Heights burger and pastrami stand has been reborn. An Echo Park panaderia is no more. And A Silver Lake restaurant undergoes a name and ownership change. 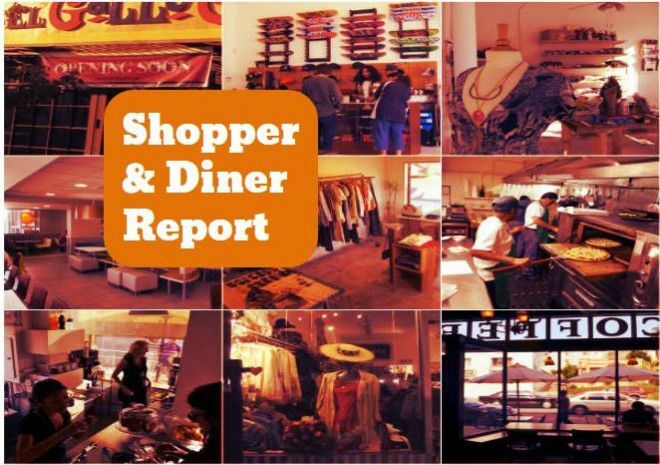 Read on for more Shopper & Diner news. The owners of Guisados have revived George’s Drive-In in Boyle Heights to its old glory, LA Taco reports. Within 72 hours of taking over the nearly 60-year-old burger stand, new co-owners Armando De La Torre and Robert McCord George’s Drive-In was reliving its past tradition of serving fresh pastrami and burgers. Apparently, George’s has old ties to the De La Torre’s family: De La Torre’s grandfather once owned the property. George’s Drive-In is at 2311 E. Cesar Chavez Ave. in Boyle Heights. Home Restaurant in Silver Lake is no longer, Eater LA reports. After a 10-year run, owners of the restaurant sold the property. A new restaurant named Ivanhoe has taken over the space. Customers might not notice much of a change with the exception of the name, though. The vibe, staff and menu items, including brunch, remain intact for now. Ivanhoe is at 2500 Riverside Dr. in Silver Lake. Finding pan dulce in Echo Park has become harder to find with the closure of Celaya Bakery in Echo Park. It was one of the last remaining panaderia’s in the neighborhood, and after serving the community for 50 years, it has gone dark. Its closing on October 28 was a somber moment for the owners. An Instagram post stated, “Today we gathered to talk about memories we have of this place, walk through the building, and say goodbye one last time. It wasn’t easy to say bye to my second home. But it made me realize the hard work and sacrifice my grandparents, aunts, and parents did to provide for our family with this special bakery that served tamales and pan dulce.” Tamales Alberto, which has two locations nearby, is taking over the space. Tamales Alberto is at 1630 Sunset Blvd. in Echo Park. Trencher in Echo Park is adding craft beer and wine to the menu. The beer and wine will start flowing Tuesday, Nov. 13, said a restaurant press release. Added to the mix is the arrival of the Beermosa for weekend brunch starting Saturday, Nov. 17. Trencher is at 1305 Portia St. in Echo Park.